Back from Iceland, and what an amazing summer, I'm ready to get back into the studio and start working towards...dare I say it, Christmas. This year I'm stepping up my game, challenging my confidence and getting my work out there at local craft fairs. I'm taking part in not one but two local Etsy fairs and will be busy for the next few weeks preppin' my prints and products ready for Etsy Autumn & Christmas markets. 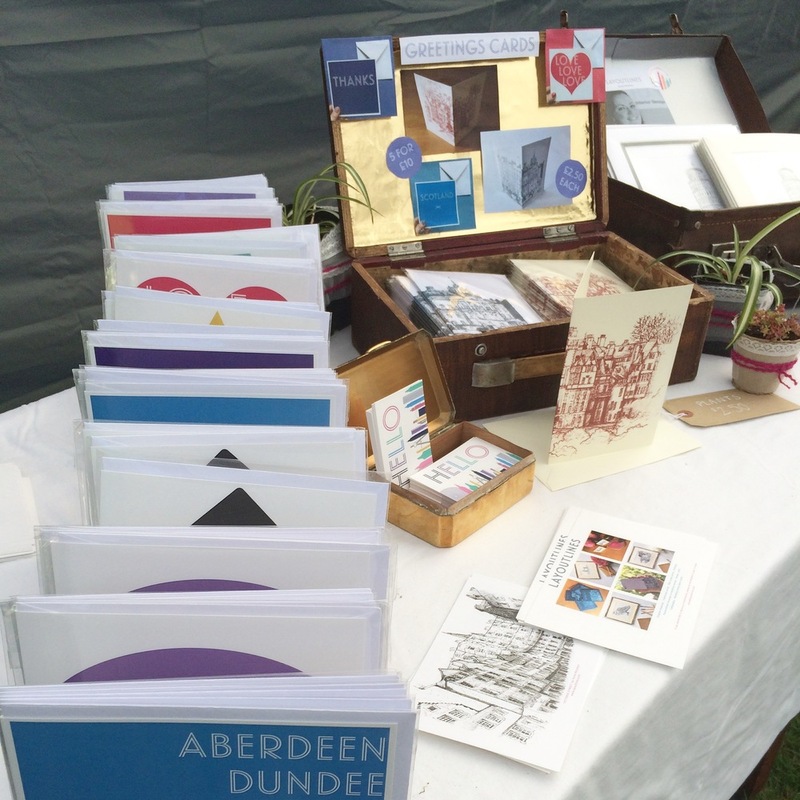 I'm super excited about them but am also very aware of how much work the pervious 'Art in the Park' (image above) took, but meeting other stall holders and, hopefully, lots of you guys makes it all worth while. So let the planning begin and the creating continue. I'm already excited for this years run up to Christmas and the fairs I'm working towards. 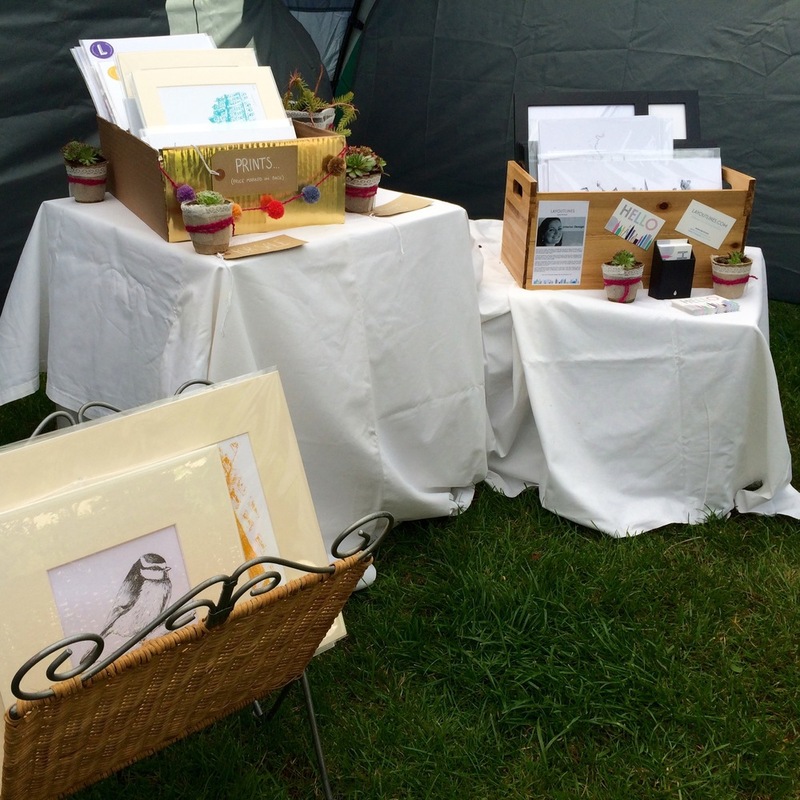 I haven't done a lot of local craft fairs but those I have, have been very successful and a lot of fun so I thought I'd share my top tips for setting up and running a stall. If you're thinking about having a stall at a fair, then go for it, what's stopping you?! And, if you have signed up and it's your first time, enjoy and let me know how it goes. Presentation | First impressions count. Think about your potential customers and their first reaction when they see you and your stall. How do you want to connect with them? How will you make your products stand out? Consider your branding and colour scheme so they know and remember who you are. Perfect Products | Think of your range and it's best sellers, what has previously worked at markets, or in this location. Consider the theme of the fair and the type of visiter it might get. Aim to have your products, with prices and any further information, clearly displayed. You can have all your stock on the table or a small amount displayed and more kept aside, under the table, all packaged up ready for customers. Organisation + Finances | Bring petty cash (lots of change) in a lockable box or container to act as your till, look into a card machine, enquire about wifi, use a money wallet so you can stash cash on you, bring a calculator so you don't have to use your phone all day, note book and pens to keep track and record sales, an enquiries list for anyone who wishes you to contact them, an inventory of stock and make sure everything is in place for a busy spell on your stall. Business cards | It's important that you use these events to network. This might be for wholesale, commissions, new customers or new followers on social media. Have business cards on display, leaflets explaining what you offer and possibly a wholesale info pack giving more information which can be followed up by a call or email if you get their details. Packaging | Make sales and packaging easy for yourself so you can help customers quickly and send them happily on their way with a well packaged product which will not be damaged, shows your branding (especially on the bag they will now be walking around with) and has your contact details on a sticker or business card inside to encourage them to visit your shop or website. Hype | Create a buzz. If you are on social media then get tweeting about your fair. Join or set up a Pinterest group and get pinning the work you will be selling. Talk about it on Facebook and maybe set up an event to invite people to. Announce the event(s) in your newsletter or email your subscribes. Oh, and write a cheeky wee blog post to self promote. Sort out transport | Rope in a friend/family member to help, that way you can worry about getting your products safely to the fair and setting up the stall, and they can get you there and worry about parking. Stocktake | Know what you are taking with you to each fair, especially as you may be doing numerous fairs in a month and be rolling stock over from one fair to the next. It's a good idea to know what worked well, what's left over and what you might want to run as a special offer / stock clearance. Keep warm | A lot of fairs are in old community centres, church halls or industrial buildings so wrap up warm in layers, bring snacks you can nibble on throughout the day and between speaking to customers, and a flask (or two) of tea. Think of your poor wee feet | Wear comfy shoes, you will be standing a lot. Possibly bring a mat (of the camping or yoga variety) or square of carpet to stand on - this will help keep you warm if standing on a concrete floor all day and will cushion you too.